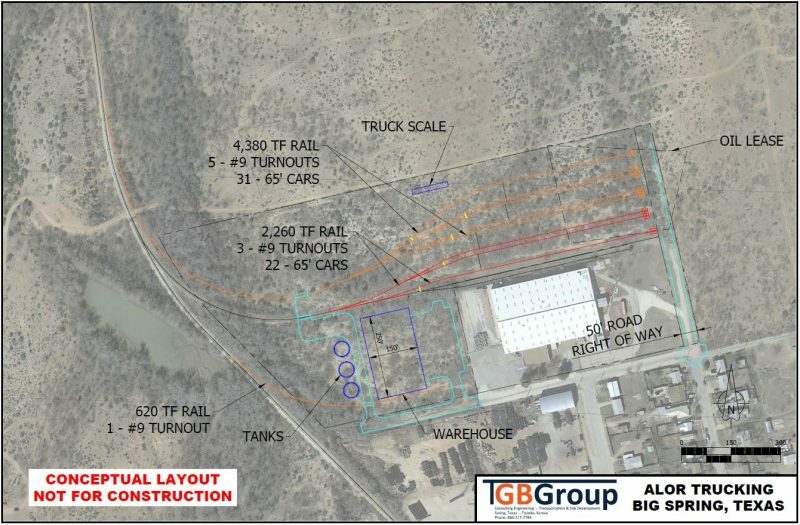 TGB Group has finalized a contract with Alor Trucking of Big Spring, Texas, to design and develop a new transload facility in that city. The facility will employ a rail-to-truck transloading process that will be used primarily for the transport of barite, pipe and diesel fuel. TGB engineers are currently working through the design phase of the transload facility. As with many other projects we undertake, this one will require a very quick turnaround to allow construction to begin in 2018. Wolf Basin Logistics in 2017 purchased the 17-acre site, which will be dedicated to the new transload facility. When the project is finished, the company will have the capacity to transload up to 53 railcars on eight separate tracks. Plans also call for a warehouse adjacent to the transloading facility. The warehouse will encompass approximately 37,000 square feet and have its own rail spur capable of unloading from boxcars into the building. Provide topographic and boundary survey of lots. Site/civil design for the new rail car transload including site grading, dimension plan, pavements, rail layout, truck scale design (includes truck-turning movements), stormwater drainage. Design review with Big Spring Railroad and the City of Big Spring for approval.  Prepare bid documents and solicit pricing for construction from qualified site and rail contractors for the proposed rail car transload development. Tabulation of bids and recommendation to client on contractor selection. Prepare the erosion control plan and SWPPP in accordance with TCEQ for the proposed rail car transload facility site development. Prepare Notice of Intent for client signature. 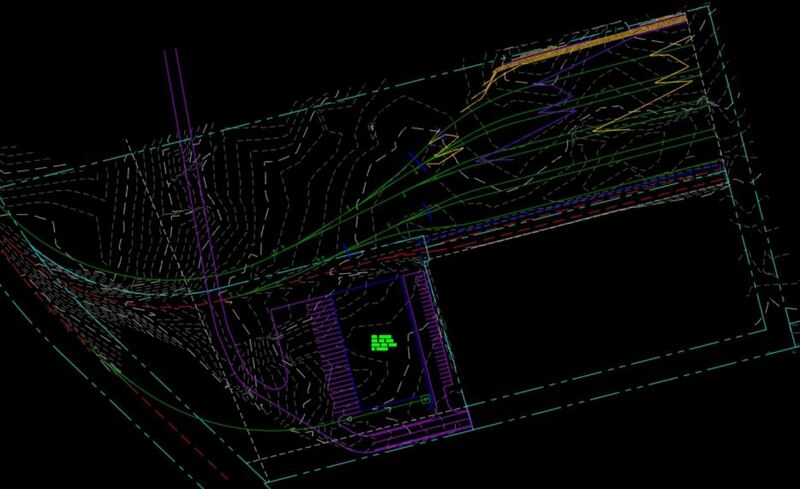 Review shop drawings and submittals; answer contractor questions regarding site work during construction. Provide onsite construction observer during key phases of construction to ensure construction is being completed as planned. Earlier this year, TGB Group was hired by the Big Spring Economic Development Corporation to design and manage the construction of a large project at the McMahon-Wrinkle Air and Industrial Park in Big Spring. This project, which was approved for construction in March 2018, included numerous elements within an industrial park rail expansion for the Big Spring Railroad.